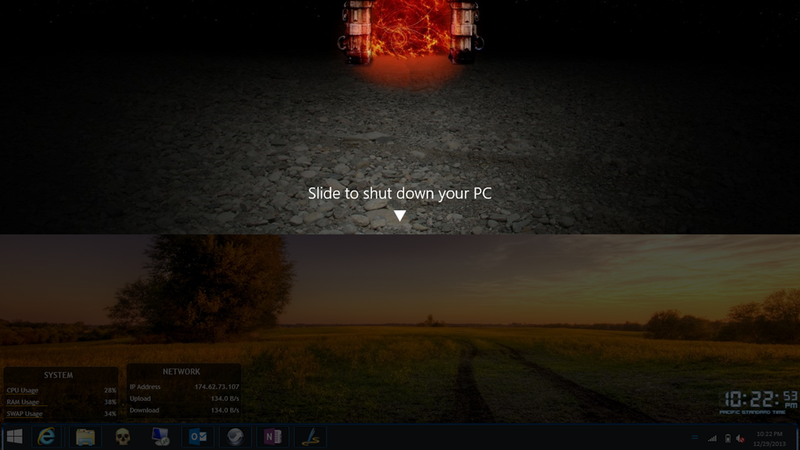 The straight forward method of shutdown the Windows 8.x tablets is bring the charms bar (slide from right to left on the right side of the screen), click Settings, Power and then Shutdown. (Well, you can press and hold the power button too). To make things little easier you can place a tile/icon on the start menu for the file “C:\Windows\System32\SlideToShutDown.exe”. 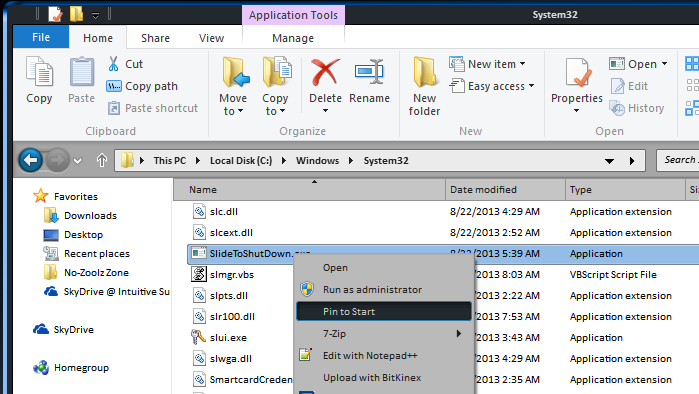 This executable will bring Windows Phone style shutdown screen (slide down to shutdown). Step-by-step instructions (if you like). 1. Open Windows Explorer and go to C:\Windows\System32 and find the file SlideToShutdown.exe. 2. Right click on the file and choose Pin to Start. (Tip: You could use Obly Tile to create a new tile with cool looking icon).